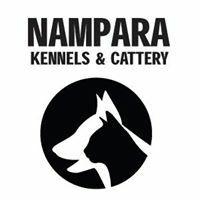 Nampara's Cattery is a large space designed to give cats the feeling of the home comforts in which they are normally accustomed to. During the day cats have the option of being in a communal living area that consists of indoor cat beds and couches or they have the option of an outdoor area with various sleeping configurations of in the sun or in the shade. All cats are locked into individual sleeping zones at night to ensure that we are able to monitor their health and stress level via how much food and water they drink and how they they are behaving from details received from owners. All cats are feed twice a day. All cats are required to have an up to date vaccination record which needs to be sighted on arrival. If you are unsure of these requirements please contact your vet. We also recommend that worming and flea treatments of your cat are kept up to date. We are happy to administer your cats medication as long is it correctly packaged and labelled however we do charge a small additional fee of $2.50 per dose.